The PIC359 is designed for producers looking for robust lean growth with excellent percent lean. This cross-bred boar performs well in challenging environments with the continued high growth rates and feed converion you expect from PIC sires. 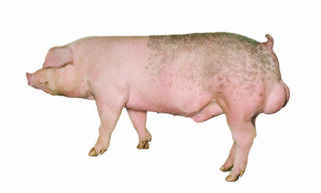 This all-around boar is an excellent choice for producers looking for a more robust sire.